In the first week of exploration during a new volunteer program in the area of Ajo, Arizona, humanitarian-aid workers discovered four sets of skeletal human remains in five days. One set of remains was recovered in the area of Hat Mountain on December 18, 2016. The other three were subsequently recovered in the Growler Valley. Volunteers were from No More Deaths Tucson, No More Deaths Phoenix, and the Ajo Samaritans. These three groups are engaged in a collaborative effort to increase humanitarian-aid efforts in a remote and deadly migration corridor. 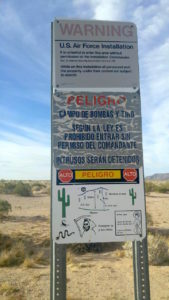 Boundary of the Barry M. Goldwater Bombing Range, in the Ajo corredor. Photo: No More Deaths. The Ajo corridor is characterized by extreme heat, infrequent water sources, sparse shade, abrupt chasms and cliffs, and vast expanses of wilderness. It holds the longest south-to-north path in all of the borderlands that does not intersect a paved road—about 70 air miles. This path crosses Organ Pipe Cactus National Monument, the Cabeza Prieta National Wildlife Refuge, and the Barry M. Goldwater Bombing Range. In all of these areas, road access for humanitarian-aid groups is partially or completely restricted. In the last 20 years, many human remains have been recovered in this corridor, but mostly in areas close to public-access roads. From our knowledge of the Ajo corridor’s deadliness and remoteness, we understood that focusing our attention on the remote parts of it would likely lead us to encounter human remains. But this does not make the discoveries any less tragic. Our most recent abuse-documentation report focuses on the crisis of disappearance in the borderlands and seeks to increase awareness of the numerous families searching for missing loved ones. Our efforts in the Ajo area will continue to call attention to this reality. 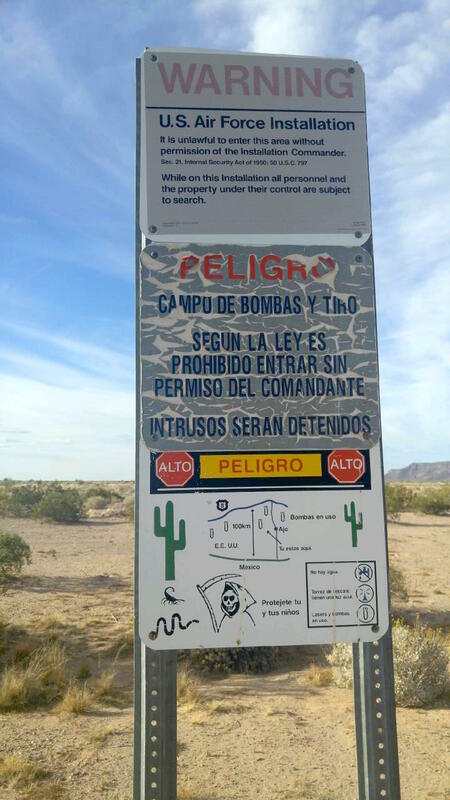 As always, we call on those who make US border policies and the individual agents who enforce them to recognize the tragic consequences of Prevention Through Deterrence and to immediately discontinue this policy and demilitarize the border. We call on law-enforcement agencies charged with bodily-remains recovery to implement protocol to ensure that deputies are trained to do complete and respectful recoveries, so as to assist medical examiner’s efforts to identify remains and provide closure to families searching for their missing loved ones. 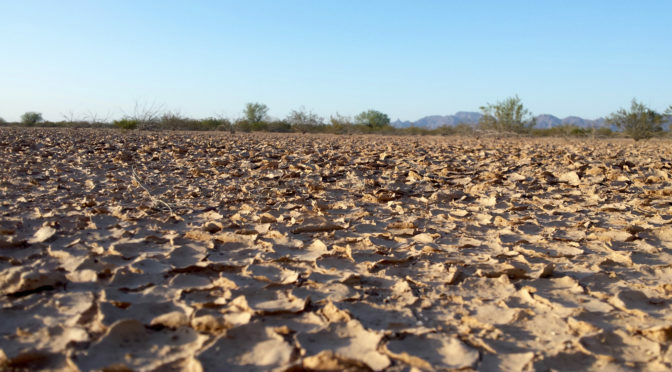 We call on the National Park Service, the US Fish and Wildlife Service, the US Air Force, and the US Marine Corps to begin or continue dialogue with humanitarian-aid groups about how to prevent deaths in the areas under their jurisdiction. Featured photo: No More Deaths. Growler Valley, in the Ajo corredor.